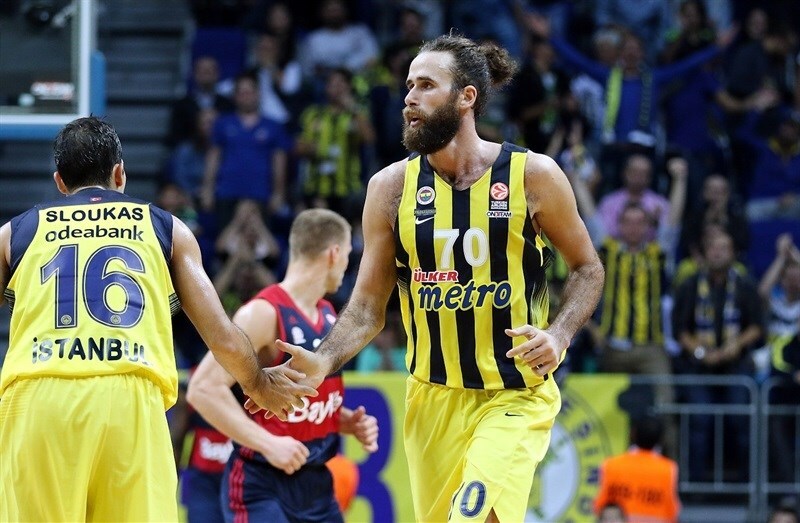 Fenerbahce Istanbul rallied from a 15-point deficit to open the new Turkish Airlines Euroleague campaign with a hard-fought 74-67 home win over FC Bayern Munich in Group A on Friday. Led by Alex Renfroe, Bayern used a 2-16 first-quarter run to grab the lead was still way ahead by 22-37 late in the second quarter. Nihad Djedovic paced the visitors in the second half as Bayern led for more than 33 minutes. 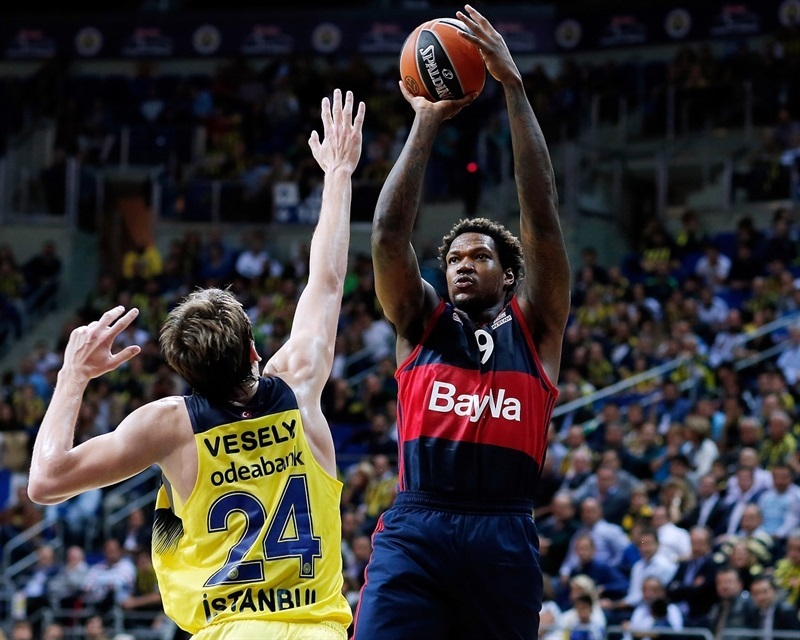 But Bobby Dixon hit 2 of his 4 triples in the fourth quarter, before Luigi Datome and Bogdan Bogdanovic knocked down clutch shots later to secure the victory. Datome scored 15 points in victory, Kostas Sloukas had 13, Dixon netted 12, while Jan Vesely collected 11 points plus 11 rebounds. Renfroe and Djedovic each had 14 points for the visitors. Fenerbahce grabbed 16 offensive rebounds to Bayern’s 5. Nikola Kalinic got things started with a layup for Fenerbahce, followed by Bogdanovic tossing a half-court pass for a Vesely alley-oop. 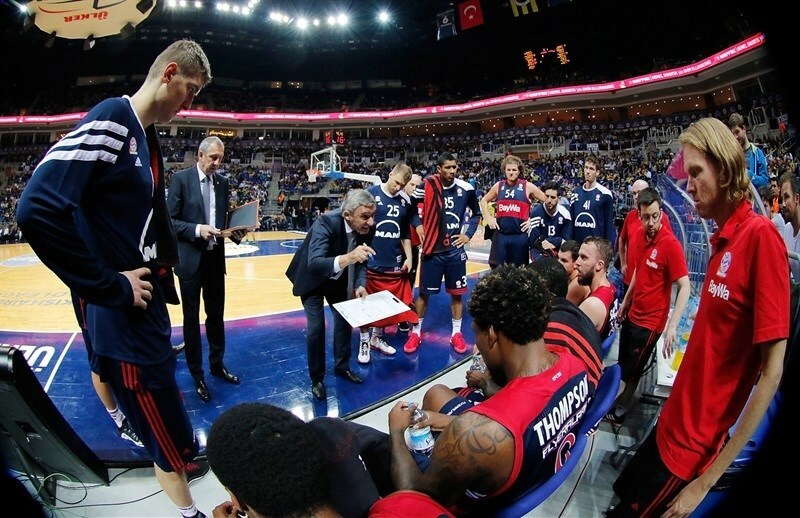 Pero Antic added to the hosts' tally with a tough turnaround jumper at 6-0 before Dusko Savanovic opened Bayern's account with a short baseline shot. A layup from John Bryant and a short jumper from Savanovic tied the score before a put-back by Deon Thompson put the visitors up 6-8. 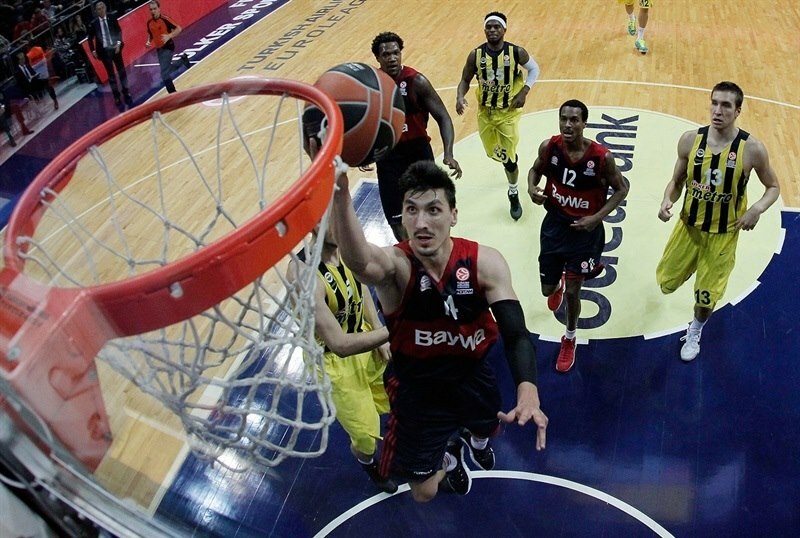 Bayern kept Fenerbahce scoreless for more than 6 minutes before Sloukas hit a baseline jumper at 8-10. Back-to-back triples from Paul Zipser and Renfroe extended Bayern's margin to 8-16, completing a 2-16 run and forcing Fenerbahce head coach Zeljko Obradovic to call a timeout. Kalinic made a pair of free throws, but Djedovic nailed a long jumper, then drove coast-to-coast for a layup and a 10-20 Bayern lead after 10 minutes. 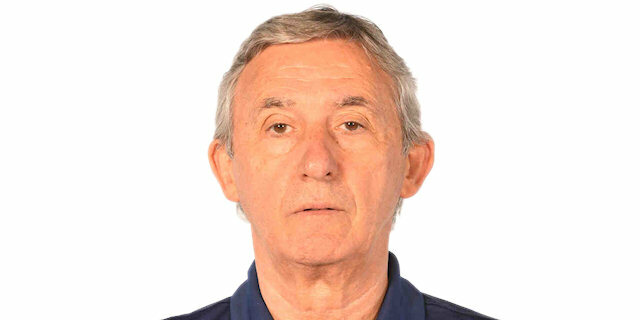 To open the second quarter, Bobby Dixon found Bogdanovic for an open three-pointer from the left corner, then Dixon knocked down a long-distance shot of his own to get Fenerbahce within 16-20. Renfroe drove through the crowd for a layup, and after another Fenerbahce scoring drought, this time for more than 2 minutes, Luigi Datome hit a jumper. Renfroe kept Bayern's breathing room with a basket from close range, then fed Zipser for a fastbreak dunk at 18-26. After another Fenerbahce timeout, Vesely muscled his way to the basket, however Renfroe scored a second-chance bucket, then Anton Gavel stepped up for the visitors. He made a pair of steals that led to him scoring 4 points, so that when K.C. Rivers scored a turnaround jumper, Bayern had a 14-point lead, 20-34, that silenced the crowd in Istanbul. Sloukas snapped a 0-8 run with 2 foul shots, but Bryant tipped in a miss and Djedovic split free throws at 22-37 with 2 minutes left in the half. Datome made a fadeaway jumper before Sloukas and Vesely each made a pair of free throws. Rivers scored a tough layup, then Sloukas ended the half with a long jumper to complete Fenerbahce's 8-2 run to get within 30-39 at halftime. Vesely opened scoring in the second half with a monster put-back dunk. After Thompson answered with the same for Bayern, Vesely made a tip-in, then Sloukas stole the ball and race for an easy layup and 37-41. Fenerbahce tied the game with free throws from Kalinic and a layup from Datome. After a timeout, Zipser snapped an 11-2 Fenerbahce run with a three-point play, but Datome replied with a corner triple for a 44-44 tie. But Bayern wasn't worried. Bryant scored inside for the visitors, before Savanovic and Renfroe buried back-to-back triples to restore 45-52 advantage. A steal and a fastbreak layup by Djedovic made it 47-56, then the same player added a triple at 47-59. Datome ended Bayern's 2-13 run with free throws before Dixon buried a long buzzer-beating triple to end the quarter, making it 52-59. Antic nailed a triple to open the fourth quarter, but that was the only basket over 2 minutes. Datome added couple free throws to make it 57-59. Then Dixon knocked down a triple over Savanovic to put Fenerbahce in front for the first time since the opening minutes of the first quarter, 60-59. Bayern needed 4 minutes to score its first point of the quarter, a free throw from Rivers, but Dixon nailed another one from the same spot to make it 63-60. Thompson scored inside for the visitors, but Fenerbahce grabbed 2 offensive boards on the same trip down the floor before Datome drove for an easy layup. 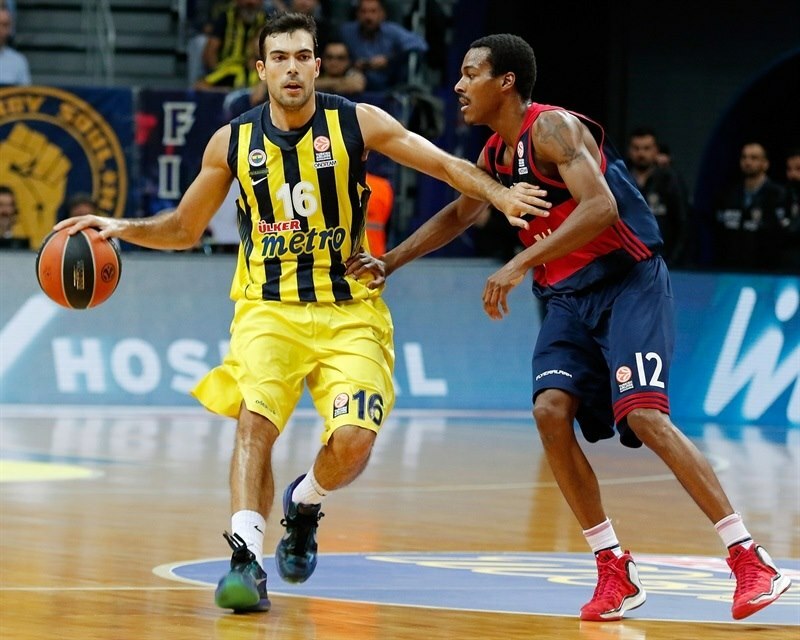 Bogdanovic sandwiched a three-pointer and a tough runner around free throws from Thompson to put Fenerbahce up 70-64. A pair of breakaways in the final minute finished with a dunk by Kalinic and a layup by Sloukas, sealing the deal for Fenerbahce's comeback win. "We prepared the game knowing that Bayern are a very aggressive team, and the first thing I wanted was to keep them from running the fastbreak. Instead, we played at a rhythm that was good for them. In the first half, we played the game that they wanted to play. So, after us playing without good shot selection or ball movement, the result was an easy game for them. If we want to find an excuse for this, in our starting five was Ekpe Udoh. And we prepared with him. And before the game he felt incredible pain in his back, so it was impossible for him to play. So we changed everything, and when some players change position, they don't remember everything defensively. Because of this first of all, it was very, very confusing in the beginning of the game and generally in the first half. But even with this, we had to find our game. We had to play harder defense. And from my side, it was an incredible feeling during the game from our fans. I really want to thank them. It was the first game, but as I said to players, they must understand the way you want to play. Until this game, we really played good. Today was the first time like this. I want to thank the players, too. Also Bayern played a very good game, very tough. They are a tough team. You know, this is Euroleague. There won't be any easy game. We must understand this and we must have concentration for 40 minutes." 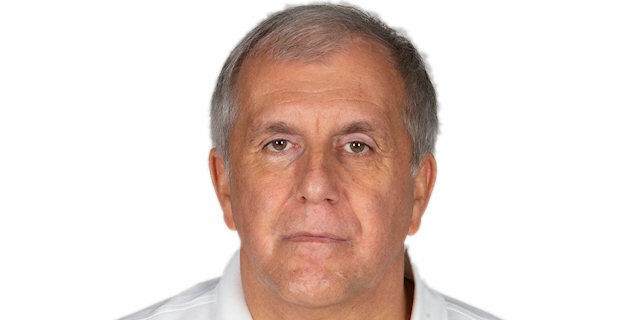 "First of all, congratulations to Fenerbahce for the victory. We had a very good chance to win the game tonight. Our defense was the reason. We played very good defense, rotated good and had very good organization. Five minutes before the end we controlled the situation. We had only one problem, which was offensive rebounds. In the first 20 minutes, they had just a few offensive rebounds. In the second half, they made 13 offensive rebounds, and hurt us especially in the fourth quarter. We did the right thing playing defense, rotating but in the last second didn't do the final thing and stay aggressive to take the defensive rebound. Fenerbahce was very aggressive in the second half, and I think this is the reason that they won the game. They had better shooting. Fenerbahce is very talented on offense, with great potential. But tonight we needed to play better defense to win."